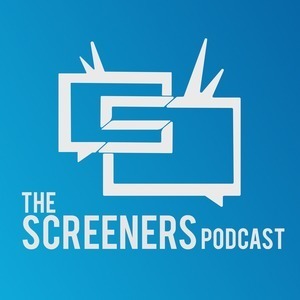 Screeners Podcast: Episode 34: The Past is a Nightmare; the Future, a Wasteland. Happy Summer! So, yeah, it’s been awhile. Again. The Screeners had the best of intentions, they promise. Somewhere in the past month or so there were at least two episodes that were planned and fell through the cracks. Since Josh actually went to the theater for said episodes (and he really wants you to know that he did his job in all of this), the four have given up on the lightning round this week and instead have opted for a grab bag of “whatcha been watchin’?”. Chris starts the segment off with a review of the most recent season of Game of Thrones...and ends up somewhere else entirely, but we won’t begrudge him his burning passion for network TV. Or maybe we just fed him the GoT topic so we could post this. Next up is Chad, who admits he’s late to the party for once, but loves Silicon Valley all the same. The show’s been a big hit with a majority of the Screeners, actually, and there’s definitely some fun to be had guessing which of the show’s characters may have been modeled after Josh. Since Josh gets a turn, you know he’s going to insist on talking about one of the movies he actually saw this year. Ex Machina’s part of what seems to be a recent thematic trend in sci-fi; does it have anything to set it apart from, say, Transcendence as an AI movie? In what must have been an attempt to ramp up the energy level for the main event, Melody rounds out the segment by covering the Screeners’ latest failure for an episode plan: Mad Max: Fury Road. Some might say we saved the best for last. One person, amidst a sea of positive reviews, might dare to say otherwise. We’re tired of telling you to guess who that person might be and implying that you might be surprised. You know, and you won’t be. Finally, a Sequel to Encino Man! We just can’t shake the mental image of Pauly Shore riding a velociraptor that we’d hoped against hope would be the climax of Jurassic World. Alas, we’ll have to settle for Chris Pratt on a motorcycle. It’s fine, really. Totally fine. No spoilers for the latest installment of the Godzilla franchise here; you’ll have to listen to hear how much Chris loved it and how deep his forgiving spirit runs. This episode may not look like much in outline form, but trust us; there’s enough material in there to either get you thinking or alienate you forever; take your pick when you’re done with the episode, and head over to Facebook to tell us whether you’ll be coming back for more.